Problems as big as the world are daunting, but solutions are at hand, within each of us. 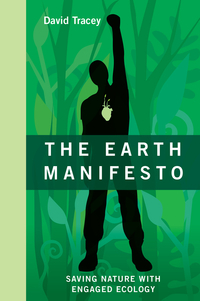 The Earth Manifesto: Saving Nature with Engaged Ecology offers an approach to regain control of our environmental destiny by rediscovering our affinity for nature and then acting to preserve it. Rooted in common sense, the author’s “Six Laws of Engaged Ecology” move us from theory, in concepts such as interdependence and the wilderness found in our minds, to practice with explanations of ground-truthing and creating a community through shared environmental principles.